Hi, everyone! The 70th British Academy Film Awards (BAFTA) was last night at the Royal Albert Hall in London. 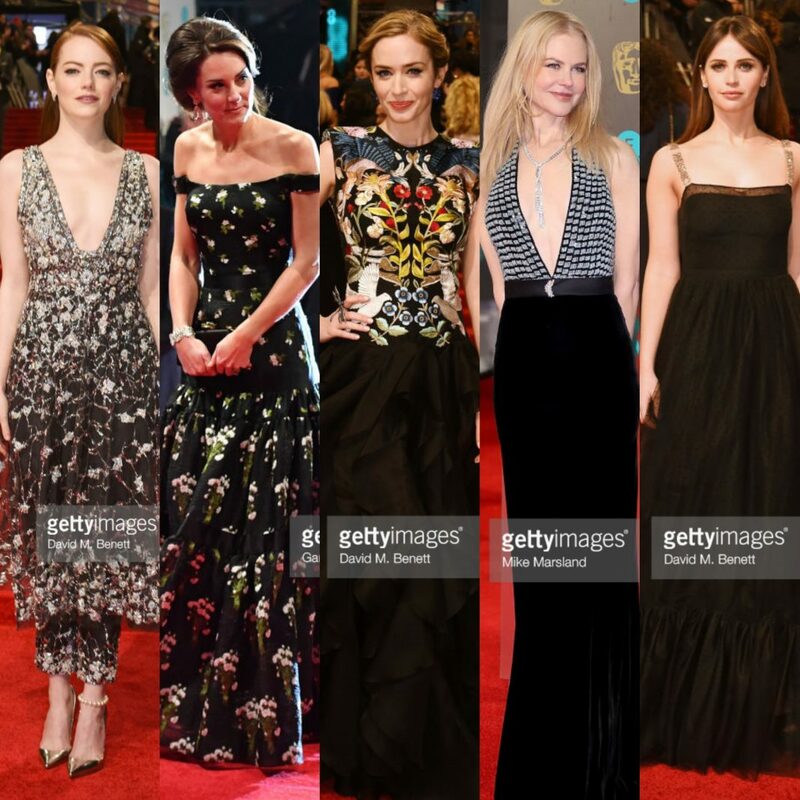 And which is why I am here with my favourite 5 best-dressed celebrities we have seen on the BAFTA 2017 red carpet. Firstly, beautiful Felicity Jones channelled her inner sixties look as she hit the red carpet wearing this beautiful black vintage Dior dress. I like the frill at the bottom and the straps. I think those are diamonds, right. And that sheer peek-a-boo neckline is elegant and dramatic as well. As you can see Felicity kept her makeup pretty simple. Natural barely there lipstick is paired with again natural barely smokey eye makeup. The only jewellery she seems to be wearing is a stud earring. Did you notice the strap actually says CHRISTIAN DIOR? Now, the gorgeous Emma Stone was sparkling with her sensational dress. Emma wore an embellished midi dress by Chanel which had a plunging neckline. She paired the dress with a matching trouser with the same embellishment. If you look closely, you will see she is wearing a pearl anklet on her left leg, classy! Emma literally shone on the red carpet. She opted for a dainty earring to accessorise the dress. Her eye makeup was pretty with the eye flick and highlighted under eye line. The lip colour is pretty in the somewhat plum-ish, pink-ish colour. 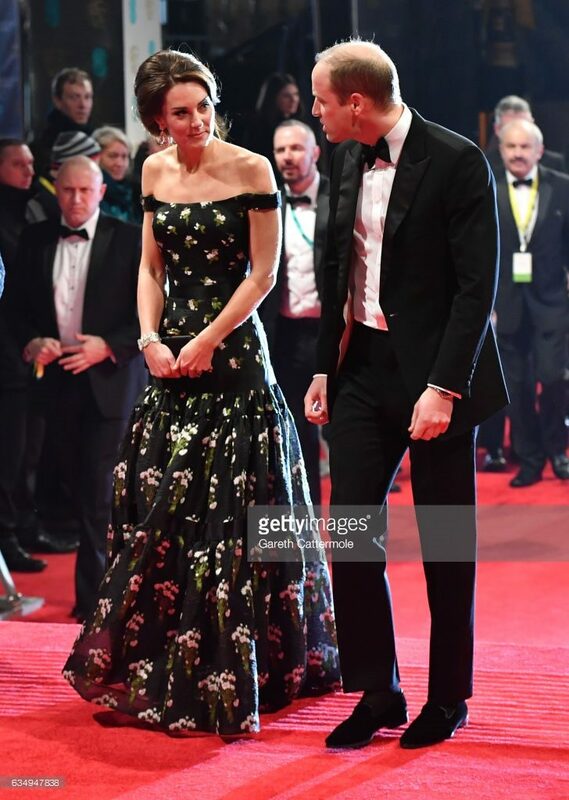 Kate Middleton, the Duchess of Cambridge, looked as regal as always wearing Alexander McQueen off-the-shoulder gown. The gown is covered with white floral pattern. The spring is almost here, therefore, this gown is more than perfect for such a night. Kate wore this enormous dazzling diamond earring along with her same dazzling smile. By the way, I wish she had worn a tiara. Nevertheless, she looked radiant as always. Nicole Kidman graced the red carpet wearing a plunging gown by Armani Prive. The top is eye-catching with its sparkling embellishment but the black bottom is simple and yet very elegant. Nicole wore this statement-making necklace. Therefore, she kept her makeup and hair look all natural and light. 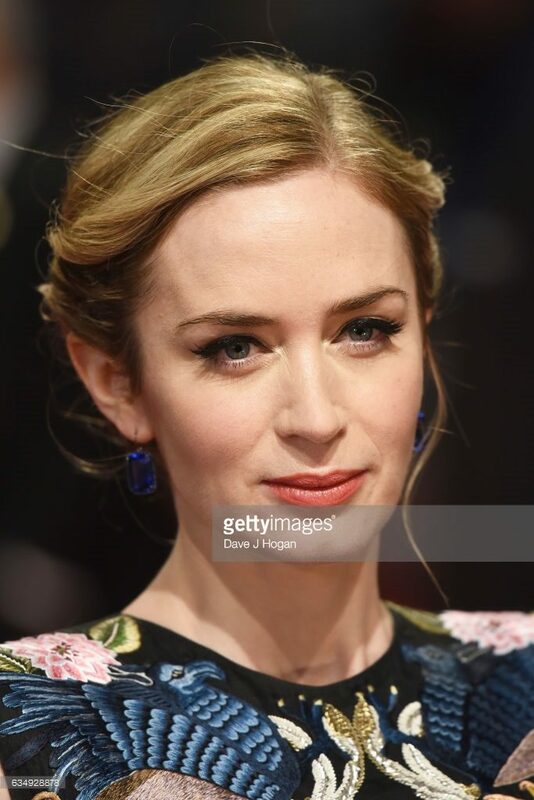 Okay, Emily Blunt won the red carpet last night, at least that is what I think. 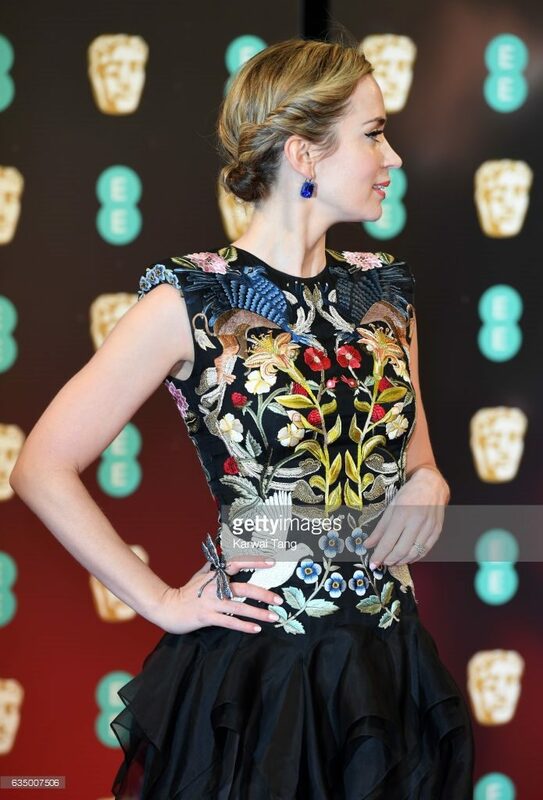 From top to the bottom, Emily looks stunning. 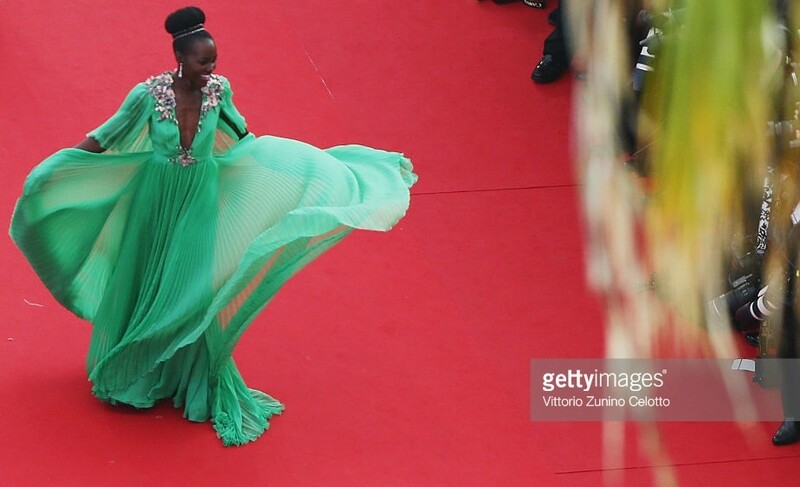 I can’t get over her breathtaking makeup, her hair, her dress, and her aura! I absolutely lover everything about this look. 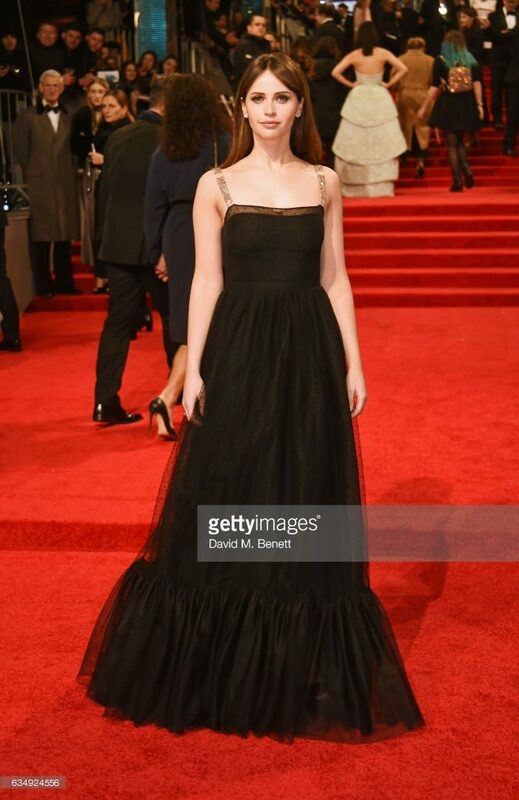 Emily wore this phenomenal Alexander McQueen gown for the glamorous BAFTA night. The bodice of the dress is embroidered and the bottom is all about the ruffles. This floor-sweeping ruffled skirt is so pretty! Emily did her hair in chignon bun. Looks sophisticated! And Right Side. That blue ear ring! Emily’s makeup last night was so beautiful and classic looking. Thick black eyeliner with a dramatic short flick and white under eyeliner really make a classic statement. she kept her overall makeup matte. Her lip colour was pretty in orange-ish to natural colour. Which one is your favourite? Let me know.